Hashimoto’s thyroiditis is a chronic inflammatory condition affecting the thyroid, the small gland at the base of the neck. This thyroid disorder was first described by the Japanese specialist Dr. Hashimoto Hakaru in 1912. Today Hashimoto’s thyroiditis is the most common cause of hypothyroidism. 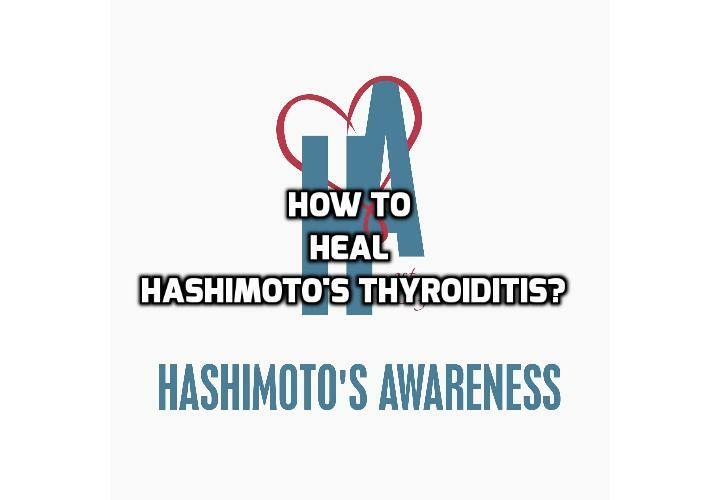 Hashimoto’s thyroiditis is termed an autoimmune disease. Autoimmune problems occur when the immune system attacks specific organs of the body. The immune system launches an attack on an organ in the same way it would attack a foreign invader such as a virus or bacteria. The autoimmune reaction associated with Hashimoto’s thyroiditis creates inflammation within the thyroid. The thyroid stops functioning properly, and in some cases the inflammation leads to destruction of the thyroid. The signs and symptoms of Hashimoto’s thyroiditis are similar to the symptoms usually associated with hypothyroidism. The symptoms vary widely depending on the severity of the problem. Optimal thyroid health is particularly important for women who are pregnant or who are considering having a baby. For women with Hashimoto’s thyroiditis there is an increased risk of early miscarriage or developing postpartum thyroiditis within the first year of having a baby. Hashimoto’s thyroiditis is signified by excess production of thyroid antibodies. To diagnose this disorder a specific test that measures antibody levels is required. Abnormally elevated thyroid antibodies thereby confirm the diagnosis. Your healthcare practitioner may request the following pathology tests; thyroglobulin antibodies (TgAb) and thyroid peroxidase antibodies (TPOAb). Most practitioners will also measure T4 and T3 and thyroid stimulating hormone (TSH) to determine how the thyroid gland is functioning. A physical examination of the thyroid region along with a thyroid ultrasound may also be performed. A single test of TSH is inadequate to screen an individual for Hashimoto’s thyroiditis. You must get your thyroid antibodies checked! Why is the thyroid prone to autoimmune disease? There are no established reasons why the immune system triggers an autoimmune attack on the thyroid. Some health researchers think a virus or bacterial infection may initiate this response, while others believe a genetic flaw may be involved. It is likely Hashimoto’s results form a range of factors. This thyroid autoimmune disorder may be triggered by exposure to toxins, chronic infections, food intolerances (especially gluten), high iodine intake and heavy metal toxicity. Watch this Video Below Here – What Causes Hashimoto’s Thyroiditis? There is a high volume of blood washing through your thyroid. This makes the thyroid extremely susceptible to damage from environmental toxins or whatever compounds happen to be circulating in the blood. Damaged thyroid cells may be the spark that ignites an autoimmune reaction within the thyroid. There is a clear-cut link between selenium and thyroid function. Is this the missing link? After iodine the next most important nutrient to aid thyroid health is selenium. Selenium acts as an important co-factor to the iodide peroxidase enzyme. This specialised enzyme converts thyroxine (T4) to triiodothyronine (T3). This enzyme therefore plays an pivotal role to regulate concentration of T3. Selenium also plays an important role in safeguarding the thyroid from environmental damage. This trace mineral helps boost glutathione, a potent antioxidant that is highly active within the thyroid. Glutathione is naturally produced by the body by combining selenium with three amino acids sourced from dietary protein. These three amino acids are cysteine, glycine and glutamine. The thyroid contains more selenium than any other body part. When a deficiency develops due to low dietary intake an individual is more likely to develop an autoimmune thyroid disorder. In fact, in regions of severe selenium deficiency there is a higher incidence of autoimmune thyroid disorders. Research suggests selenium supplementation could be useful in combination with levothyroxine (T4) in the treatment of Hashimoto’s thyroiditis. Selenium is generally considered safe when taken as recommended. In Australia and New Zealand it is recommended that a daily dose of 150 micrograms from dietary supplements should not be exceeded. Previous PostPrevious Are Iodine Supplements For Thyroid Health Really Safe? Next PostNext Is It Safe To Take Iodine When You Have Hashimotos Disease?